Japan's contribution to high-quality scientific research fell by 19.9 per cent between January 2012 and October 2018 according to the Nature Index. But efforts to increase international collaboration, seen as one way to address this trend, are paying off. Since 2014, the proportion of articles from journals tracked by the Index with international co-authors originating from Japanese institutions has increased from 46 to 56 per cent. 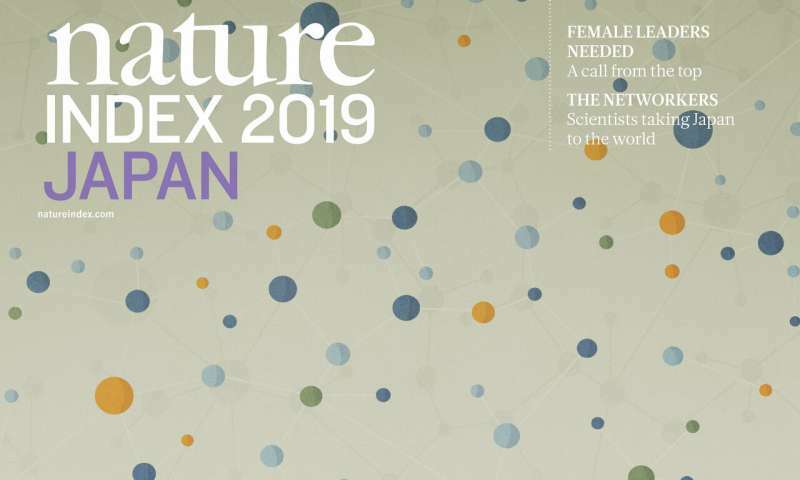 David Swinbanks, Founder of the Nature Index, said: "For decades Japanese academics and government science policymakers have talked of the need to internationalize Japan's science and it is encouraging to see some significant steps forward on this front in recent years, albeit against a backdrop of an ongoing decline in high-quality research output."